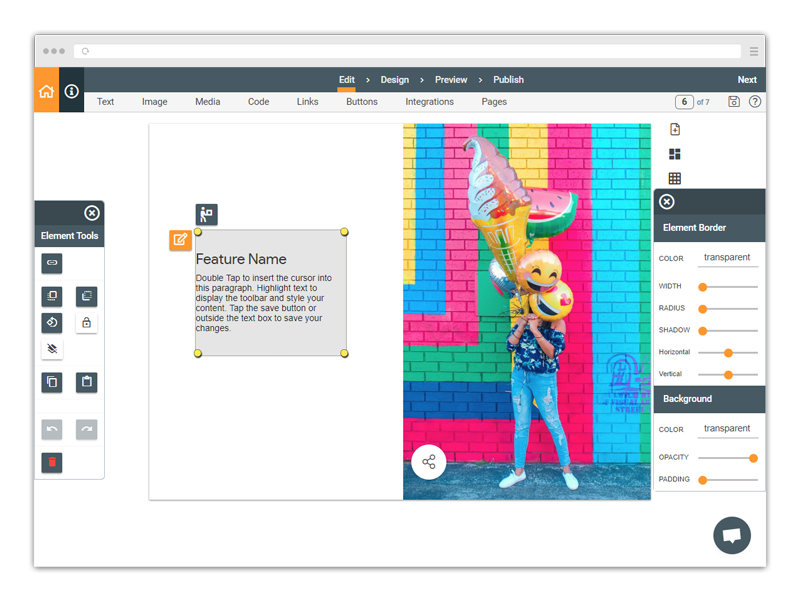 check Add and edit the text, images, code and media on your page. check Use template content blocks to create professional page layouts with complete freeform placement. check Add call to action buttons that drive customer engagement. check Add popup videos, images and captions to augment on page content. check Make any part of your page a hyperlink with link hotspots. check Your logo and colors build your brand. check A pages menu provides frictionless access to all your content. check Popup menus (About, Contact Us, Share) make your microsite engaging. 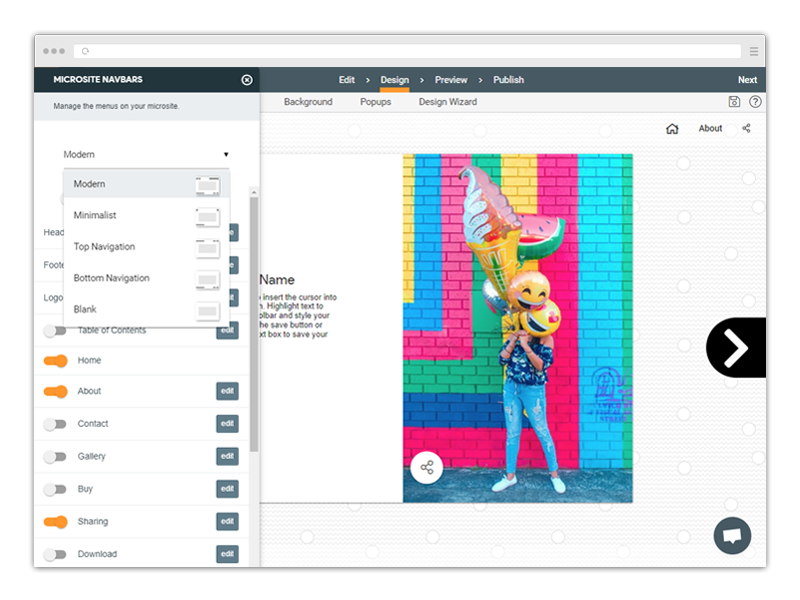 check Customize the experience with page transitions, turn buttons, and multiple layouts. 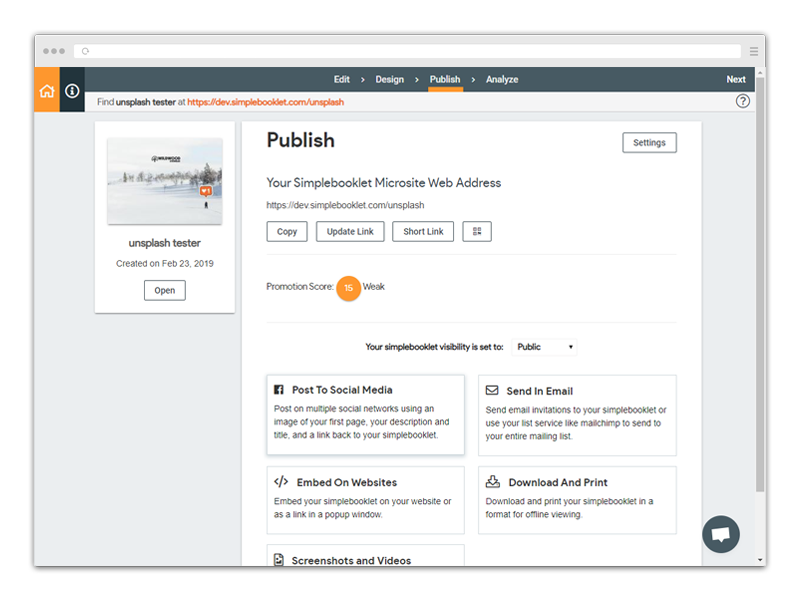 check Give your customers the option to download your microsite pages and read it offline. check Your marketing collateral has it's own easy to remember dedicated web address. check Send your marketing collateral as a rich html email. check Post your marketing collateral to social network feeds. check Download offline versions of your marketing collateral. check Save your marketing collateral as a video or animated gif. check Manage your marketing collateral access with passwords and lead gates you control. check Use your own custom domain so customers know it's you. check Get SEO results with powerful built in page content indexing. check Present multiple brochures, flyers, and newsletters on a dynamic gallery. check Score card with recommended promotion and engagement strategies. check Connect your Google Analytics account for detailed reporting. 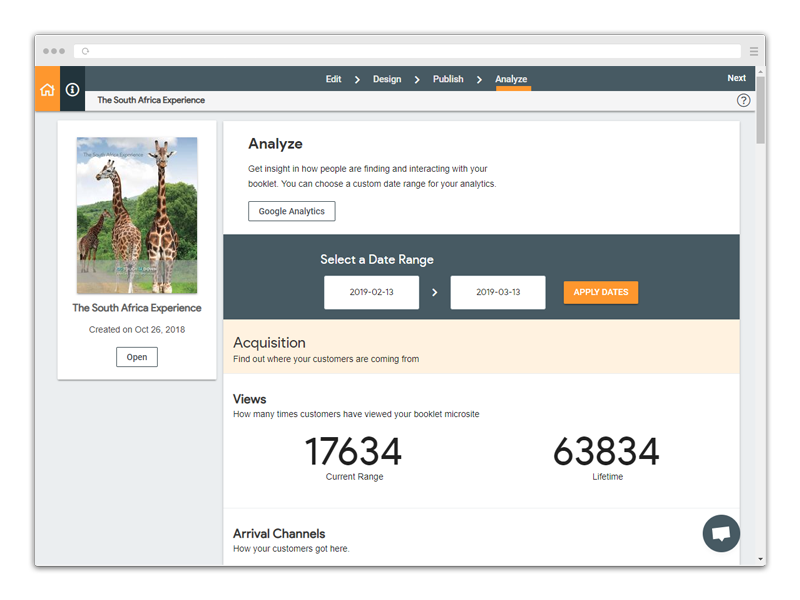 check Understand your reach with visitor view counts and channel engagement. check Get scheduled analytic emails and send reports to VIP stakeholders. Send your marketing collateral with Mailchimp, Constant Contact and Email list services. Wix, Wordpress, and embed code to add your marketing collateral to webpages and blogs. Support customers with Shopify, Etsy and ecommerce integrations. 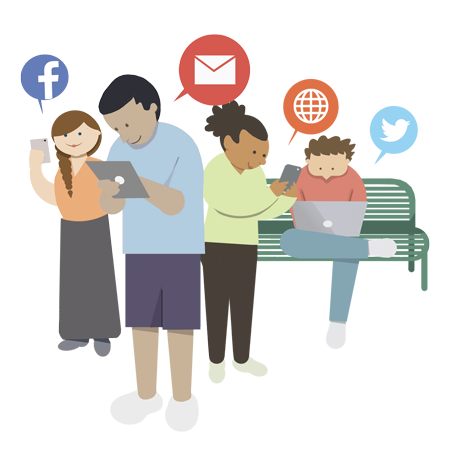 Make your new marketing collateral the destination for Google Adwords and Facebook Ads. One click posting to Facebook, Twitter, Pinterest, Linkedin and more.